Dr. Bodepudi’s work also encompasses charitable humanitarian work, which includes her services in the past to “Polio Pulse,” an organization that provided cost-free immunizations to children who were in need, particularly in India. The World Health Organization declared India to be polio free in 2014, with no reported cases of “wild polio” three years prior. Dr. Bodepudi continues to provide compassionate, effective, and experienced endodontic care to patients at her practice in Essex County. 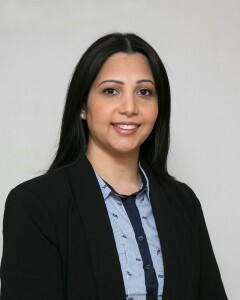 She, along with the staff at Garden State Endodontics, have built a solid reputation of offering services that can relieve pain, repair teeth, and improve the health of anyone in need of endodontic procedures. She enjoys travel and cooking. She loves spending time with her two children and husband.